1: Subtraction Reaction (2:17) Rating: 4 Record date: 01/08/2017 DDD digital multitrack recording by Brian Cameron Copyright © 2017 The Sheep Fiends Foundation. 2: Bowlking Pin (6:54) Rating: 5 Lyrics by: Paul McLennon Record date: 12/18/2016 DDD digital multitrack recording by Brian Cameron Copyright © 2016 The Sheep Fiends Foundation. 3: In The Way (5:07) Rating: 5 Lyrics by: Brian McNally Record date: 01/08/2017 DDD digital multitrack recording by Brian Cameron Copyright © 2017 The Sheep Fiends Foundation. 4: Talking To Doves (5:27) Rating: 5 Lyrics by: Mark Armantrout Record date: 01/22/2017 AAD by Brian Cameron Copyright © 2017 The Sheep Fiends Foundation. 5: Somebody Help Her (3:38) Rating: 5 Lyrics by: Paul McLennon, Brian McNally Record date: 11/06/2016 DDD digital multitrack recording by Brian Cameron Copyright © 2016 The Sheep Fiends Foundation. 6: The Flag Below (3:15) Rating: 5 Lyrics by: MX Skroch Record date: 09/11/2016 DDD digital multitrack recording by MX Skroch Copyright © 2016 The Sheep Fiends Foundation. 7: Vanity2Insanity (7:41) Rating: 5 Lyrics by: Paul McLennon Record date: 12/18/2016 AAD by Brian Cameron Copyright © 2016 The Sheep Fiends Foundation. 8: Nail Her (5:53) Rating: 5 Lyrics by: Brian McNally Record date: 09/11/2016 DDD digital multitrack recording by Brian Cameron Copyright © 2016 The Sheep Fiends Foundation. 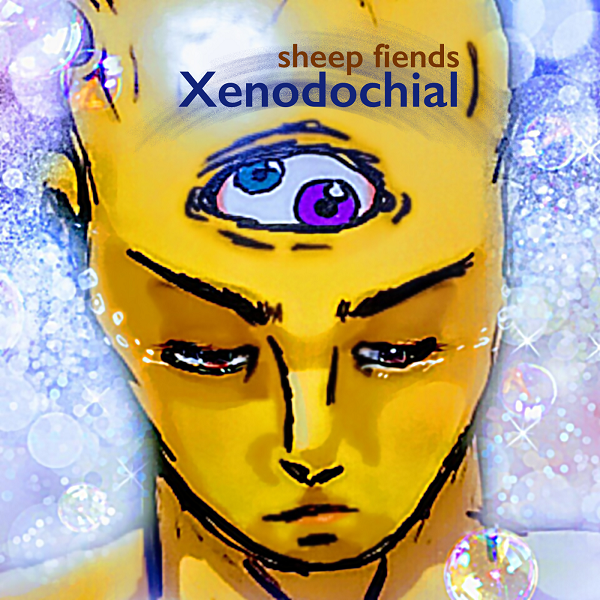 9: Follow (5:07) Rating: 5 Lyrics by: Sid Prise Record date: 05/01/2016 DDD digital multitrack recording by Brian Cameron Copyright © 2016 The Sheep Fiends Foundation. 10: Spoils (7:38) Rating: 5 Lyrics by: Brian McNally Record date: 09/11/2016 DDD digital multitrack recording by Brian Cameron Copyright © 2016 The Sheep Fiends Foundation. 11: Laundromat (7:18) Rating: 5 Lyrics by: Mark Armantrout Record date: 07/03/2016 DDD digital multitrack recording by Brian Cameron Copyright © 2016 The Sheep Fiends Foundation. Note: Some vocals were overdubbed.